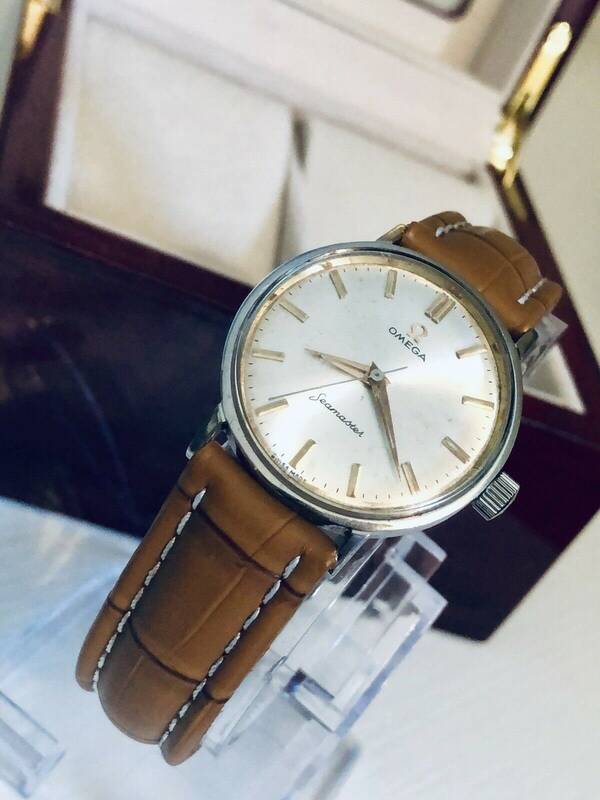 Omega Mens Seamaster stainless steel vintage CAL 613 Mechanical Mens watch + Box. 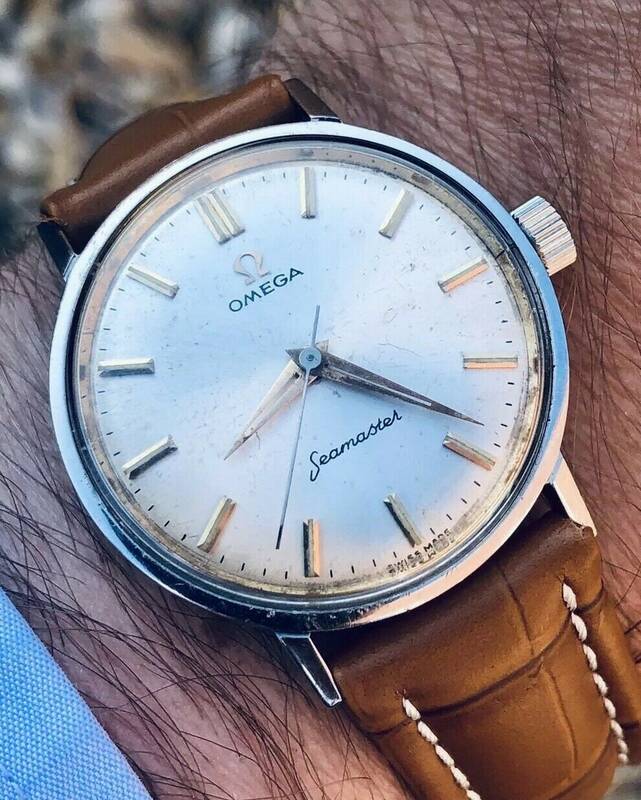 These vintage Omega Seamaster's are becoming solid investments. 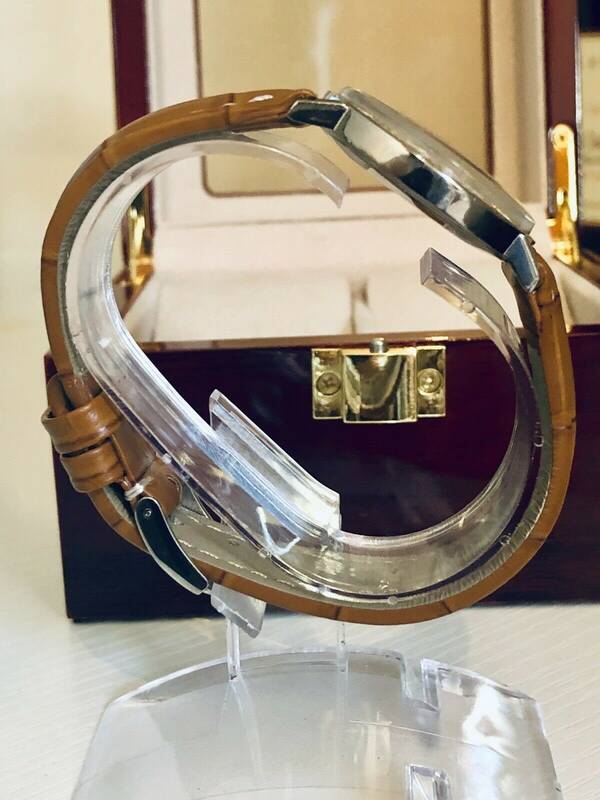 At this price I do not think you can lose money if you was to sell on in the near future. 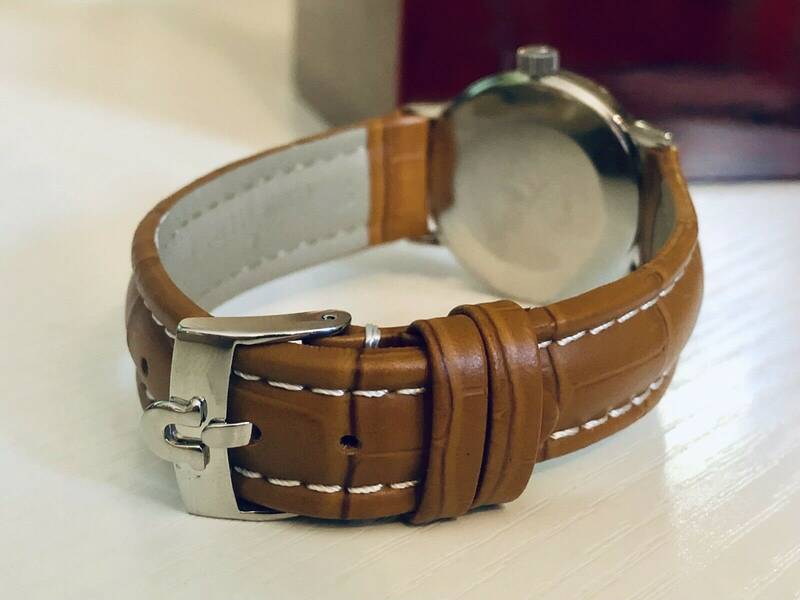 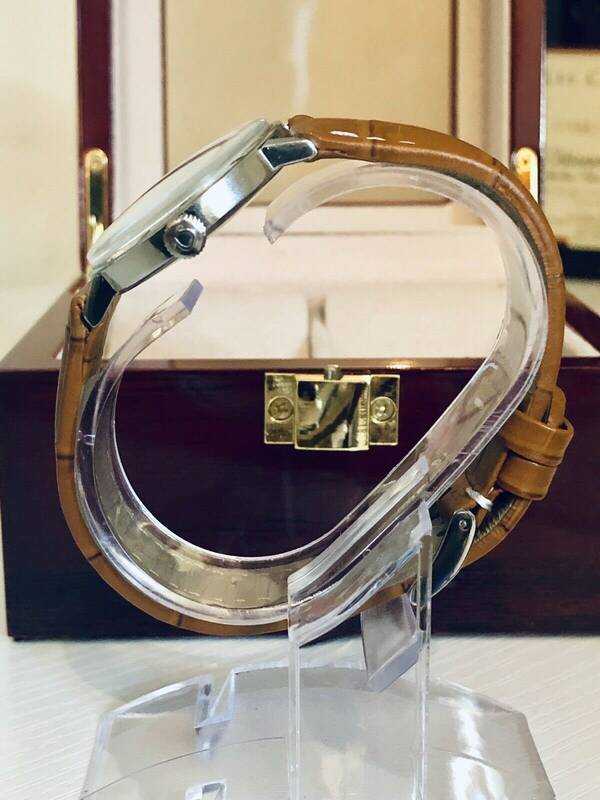 The new aftermarket brown leather strap gives this vintage watch a modern twist. 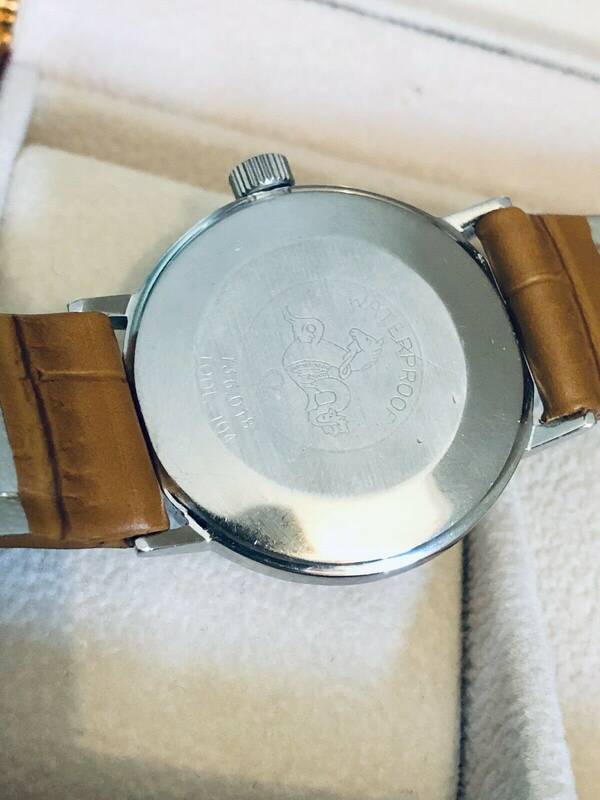 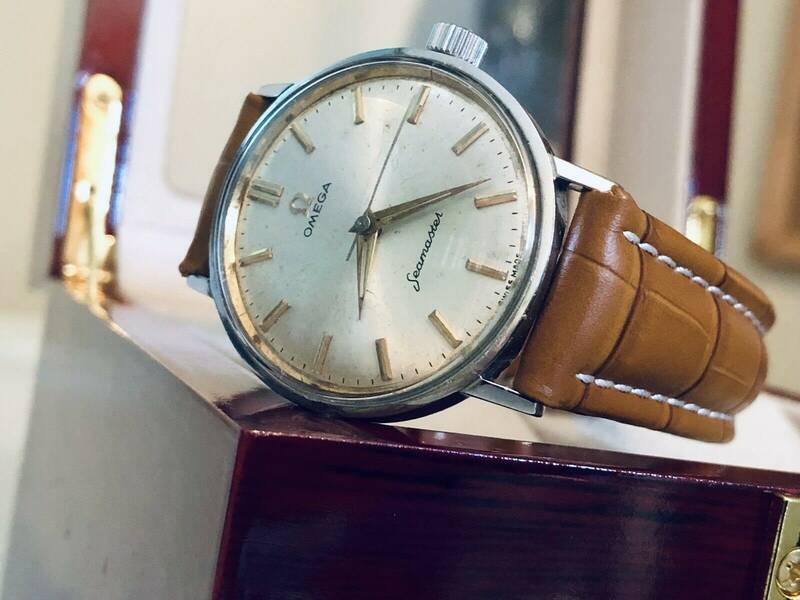 As you can see from the photos the watch is in overall good condition.This is a watch from the 1960's as will have some imperfections so please study the photos as this naturally makes up part of the description. 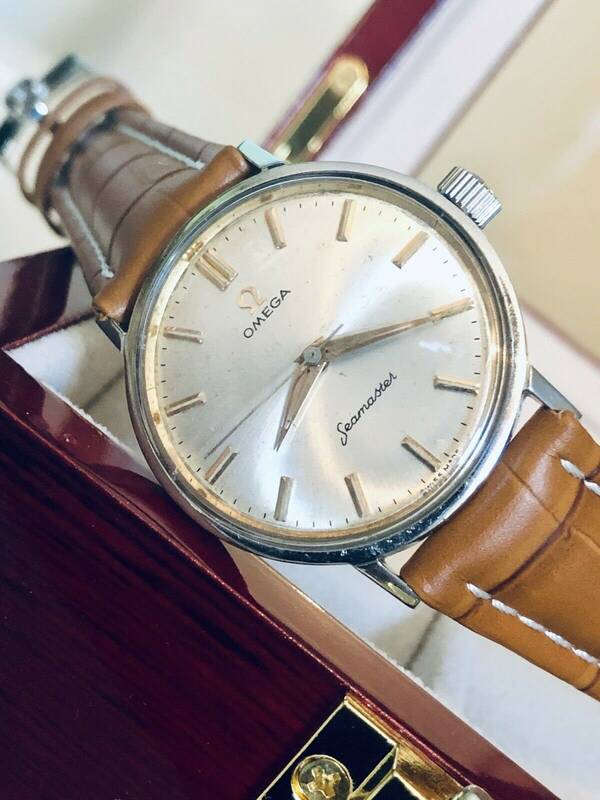 This Seamaster is 32.2mm wide and has the original Omega crown. 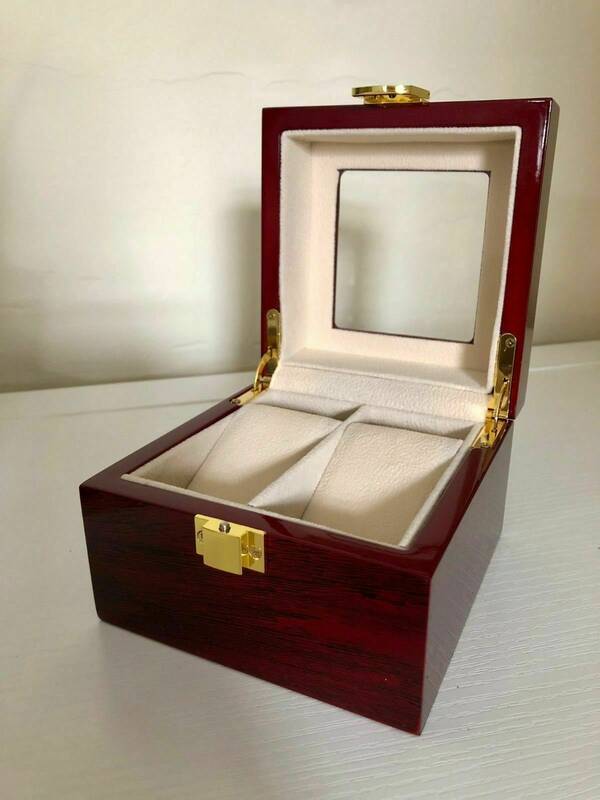 Nice new dual 2 slot watch box included.